Archeagedatabase.net • View topic - Archeage April Giveaway Codes Weekend! 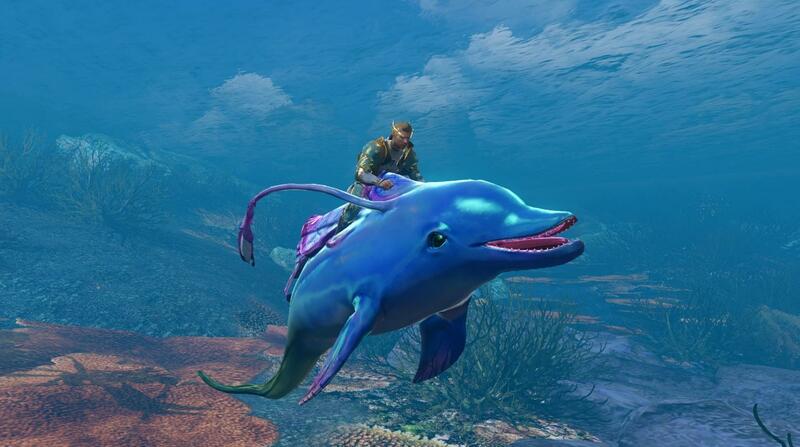 This time we have 15 codes for a cool mount: Cyanfin Dolphin Mount. Get this beauty and explore the underwater world of the Archeage! The Giveaway Codes weekend will end at April 3rd. The list of winners will be posted on the site's main page and in this thread. Be sure, to answer quickly or the codes will be given to someone else, since the codes have short life time and we don't want to waste them! Re: Archeage April Giveaway Codes Weekend! I am interested in getting a dolphin too! I would love to have one of these! They are so cute! I would use it all the time while I'm out at sea! Damn I can't wait to ride a dolphin !! I didn't know until yet, but i waited for this my whole life. I want dis!! !